Please help us give our newest Screen Partner in Morgan Hill a great big welcome. 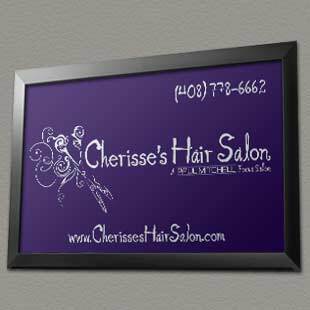 Its great to have Cherisse’s Hair Salon on board with our Morgan Hill advertising loop. We loved the idea of working with Cherisse and her staff because of their commitment to their customers and their many contributions to the Morgan Hill community. Their screen ad went live this morning at all of our Morgan Hill locations.